Hi Friends! 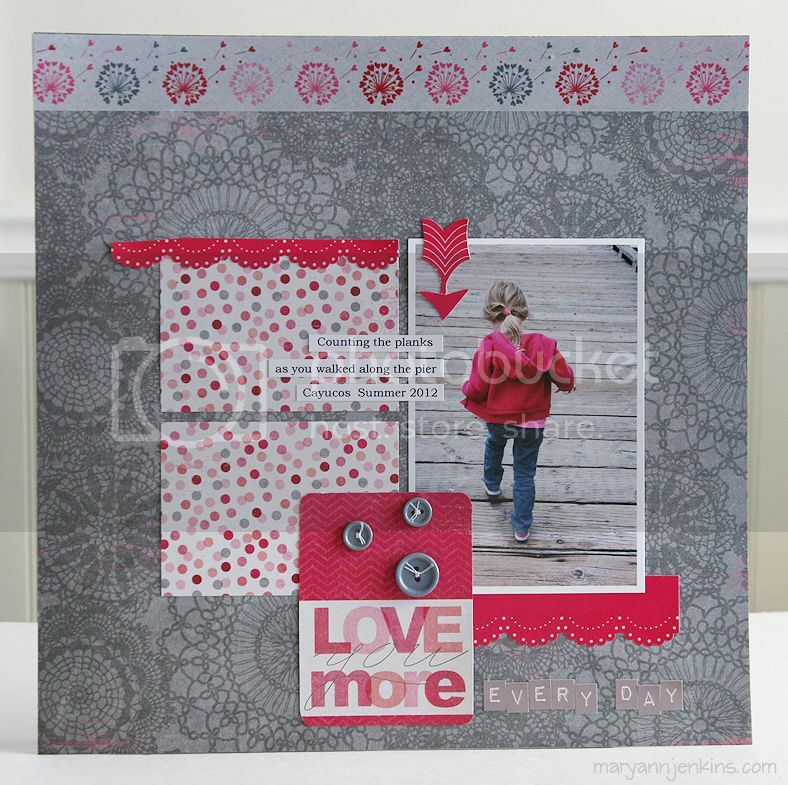 I have a layout to share today that's up on the Imaginisce blog using the brand new "Love You More" collection. 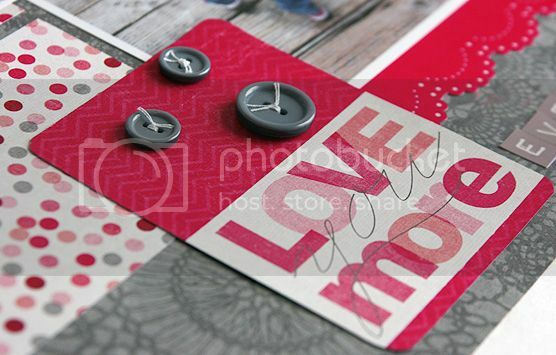 I love the papers in "Love You More" and especially love that there is washi tape included in the collection!! This will be perfect for Valentines day layouts, but as you can see, I used it for a vacation photo of Gracie walking along the pier. 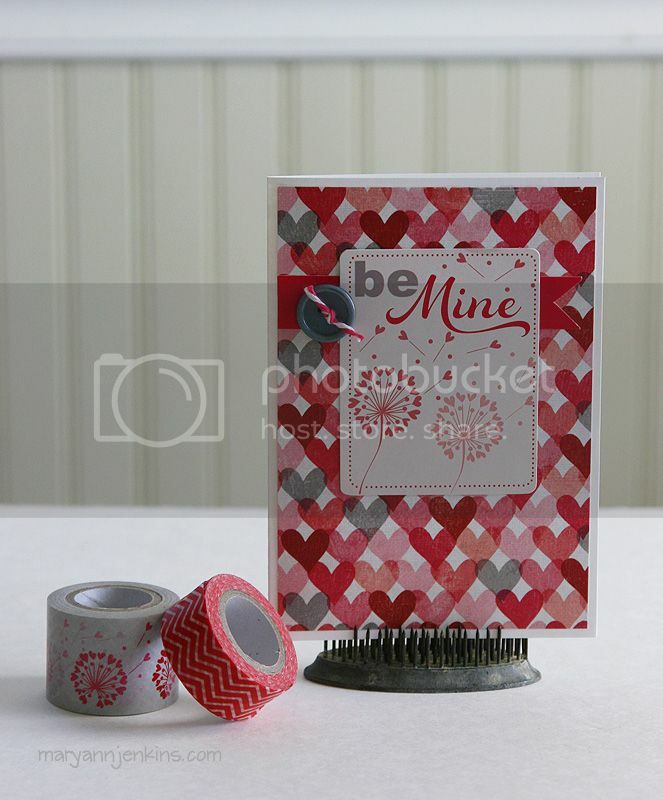 Here's a card too, and the fab washi tape! This is gorgeous Mary Ann!! Love the Red and Gray mixed together and the buttons on the title card!! And the card is really cute, too!! SUPER cute layout and super cute card!!! Love the colors!